The daughter of country star Mel Tillis, Pam Tillis was born in Plant City in 1957 just as her father, who was working for the Atlantic Coast Line Railroad in Tampa, was using his railroad pass to visit Nashville and break into the music business. 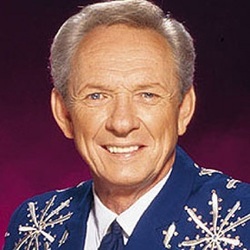 The family ended up moving to Nashville, where Mel Tillis became a celebrity as a singer and songwriter, and frequently appeared in movies and television, including several appearances on The Tonight Show with Johnny Carson, where many laughs were had at the expense of Tillis' speech impediment. Pam Tillis made her debut at the Grand Ole Opry at age 8, singing Tom Dooley, and began taking piano lessons, then taught herself how to play guitar by age 12. At 16, she was injured in a car accident and underwent several years of surgery, including facial reconstruction. She performed in two different groups while attending the University of Tennessee, then moved to California and founded a jazz and rock band called Freelight. She signed to Warner Brothers Records in the early 1980s and recorded several minor country hits. It wasn't until the "New Country" resurgence of the early 1990s that she enjoyed significant success with five hits from her debut album for Arista Nashville, Put Yourself In My Place. In 1994, her single "Mi Vida Loca (My Crazy Life)" reached number one on the country chart. She became a member of the Grand Ole Opry in 2000 and turned to television acting, appearing in the series Promised Land and Diagnosis: Murder. She released a cover album of her father's songs in 2002.